The California Highway Patrol has issued an alert to be on the look out for a newer model light grey Jeep Wrangler that struck and killed two teenage girls in Fortuna last night. The girls were skateboarding northbound on the southbound lane of Eel River Drive, just south of Kenmar Road when they were struck by the vehicle. The Jeep was last seen headed east on Drake Hill Road. Investigators are using some pieces of the vehicle left at the scene to find more information. One of the girls was pronounced dead at the scene, around 9:16 p.m., and another succumbed to her injuries at 6:30 a.m. after being flown to Oakland Children's Hospital. According to the press release, "the suspect vehicle should have moderate to major front end and driver side damage. Any information leading to the identity of a suspect and/or location of the vehicle should be referred to the Humboldt CHP office at 822-5981 during business hours or the Humboldt Communications Center at 268-2000 after business hours." Fortuna, California- On the evening of Tuesday, July 12, two female teenage pedestrians sustained fatal injuries after being struck by a passing Light Gray colored Jeep vehicle. 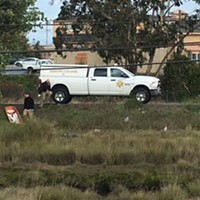 At approximately 9:16 p.m., an unknown driver was driving a light gray colored, newer model Jeep type vehicle southbound on Eel River Drive, s/of Kenmar Road at an unknown speed. Two young female teenagers were skateboarding northbound in the southbound lane of Eel River Drive, s/of Kenmar Road. For unknown reasons the Jeep struck the teenagers. The Jeep fled the scene and was last seen heading eastbound on Drake Hill Road. One teenager was pronounced deceased at the scene and the other was transported by ambulance to Redwood Memorial Hospital for major injuries before being flown to the Oakland Children’s Hospital. On July 13, 2016, at 0630 hours, the second girl succumbed to her injuries and passed away at Oakland Children’s Hospital. 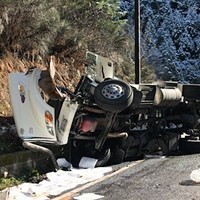 The California Highway Patrol-Humboldt Area responded to the scene and is conducting the investigation. Several Fortuna Police Officers were first responder. Personnel from Fortuna Volunteer Fire Department, City Ambulance of Eureka, and Humboldt County Coroner’s Office responded to the scene. The suspect vehicle should have moderate to major front end and driver side damage.